Ms. Franklin has over 25 years of experience as a civil and environmental engineer managing a variety of environmental and construction projects. She directs the firm to accomplish its Mission of Delivering the Best Value to its Clients. 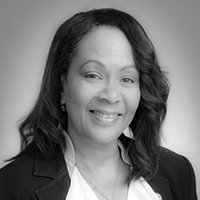 From assisting clients in the formulation of their projects, to managing procurement programs, to serving as Engineer-of-Record, Ms. Franklin is in charge of ensuring that the firm fulfills its obligations to its stakeholders – clients, employees and to the community. Ms. Franklin is responsible for articulating project objectives overseeing the procurement on major contracts, and developing standards and guidelines. She negotiates critical and controversial issues, monitors project schedules and budgets, and manages risks. Mr. Cuevas has over 32 years of experience with environmental assessments and remediation. As the CEO for CEI, Mr. Cuevas oversees the Engineering and Sciences Division that encompasses Engineers, Scientists, Geologists, and Field Technicians. In addition, Mr. Cuevas handles client relations for major clients, including US Army Corp of Engineers, Miami-Dade County, Coca-Cola Enterprises, Inc., The South Florida Water Management District and The City of Miami. His responsibilities have included the pursuit, award, and managing of the environmental contracts. Mr. Cuevas’ specific areas of expertise include environmental site audits, underground storage tank management, contamination assessments, initial remedial activities, and remedial system designs and implementation. He also has experience in the design of soil vapor extraction, air stripping treatment, carbon adsorption, chemical oxidation and non-conventional treatment systems. Mr. Sanchez has over 22 years of experience in design, construction and construction management with a focus in fuel systems and civil/heavy construction. Mr. Sanchez is responsible for Construction operations at CEI, including a variety of Construction Professionals and Field Personnel. He is a Professional Engineer (PE), certified LP Gas Installer “A”, Pollutant Storage System Contractor (PSSC), General Contractor (GC), Underground & Excavation Contractor (CUC) in the State of Florida, and a PU Fuel Distribution Contractor in the State of North Carolina. His qualifications and experience allow him to perform the repair, modification, removal or installation of virtually all types of underground and aboveground fuel (liquid and gaseous) systems, and other utilities. 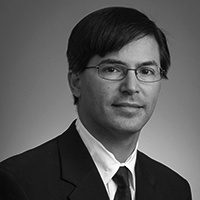 He has considerable experience working on projects for Municipal Government agencies, the Federal Government, as well as other Public and Private Entities. 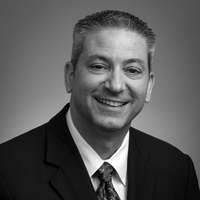 Mr. Worku has over 20 years of experience in environmental remediation and hydrant fuel systems. He is a Professional Engineer (PE) in the State of Florida. 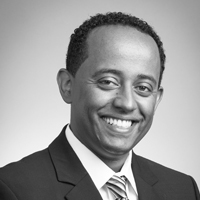 As a Vice President at CEI, Mr. Worku is primarily responsible for managing large-scale environmental remediation, airport bulk fuel storage and distribution system, and construction-related projects. He is specially selected to handle high-profile and highly technical projects, and those requiring his unique combination of knowledge, experience, patience and ability to transform “difficult” projects into successful ventures. Mr. Worku has established many key professional relationships during the last 20 years managing Professional Services Agreements for Environmental and Large Fuel System projects and Hazardous Materials Removal /Remediation contracts. Over this period, he has interfaced successfully with many agencies, negotiated the most cost effective solutions for cleaning up contaminated properties, and presented Best Value solutions to his Clients.